The country’s diverse academic landscape is defined by its applied and basic science institutes. Hristio Boytchev is a journalist in Berlin. A lot has changed since Rojas arrived in West Germany in 1982, a country that would exist only for another seven years until the fall of the Berlin Wall. “There were not many researchers from other countries [back then]; that has changed now,” he says. 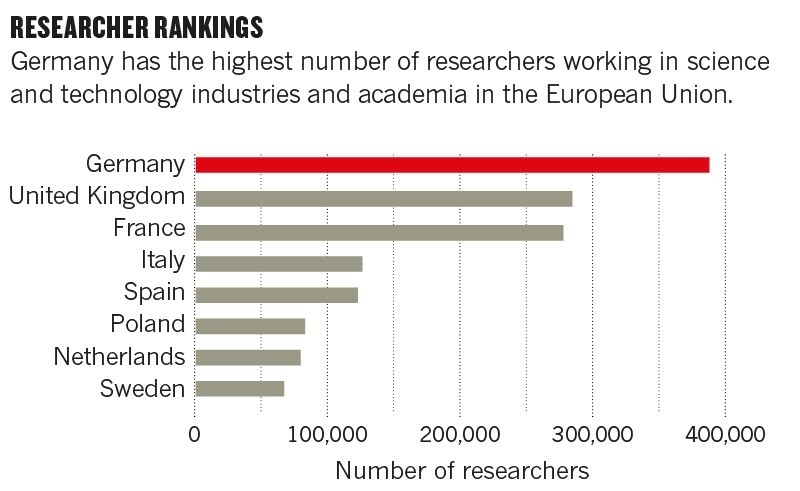 Germany offers a vast and varied research landscape, with more than 1,000 public and publicly funded science and research institutions. Among them are more than 300 universities. In contrast to other countries — such as the United Kingdom with the University of Cambridge and University of Oxford, or the United States with its Ivy League schools — the best research isn’t clustered in just one or two exceptional institutes. “There are good universities in all of the German states,” Rojas says. High-quality research takes place even in smaller, less well-known places. In the town of Jena in the east of Germany, for example, research on photonics and optics is clustered. Dresden is becoming a centre for biomedical research, and some of the oldest and most prestigious universities are situated in smaller cities such as Heidelberg, Würzburg, Freiburg and Göttingen. The Max Planck Society is a network of institutes that focus on basic research. Although publicly funded, the society operates independently of the government. 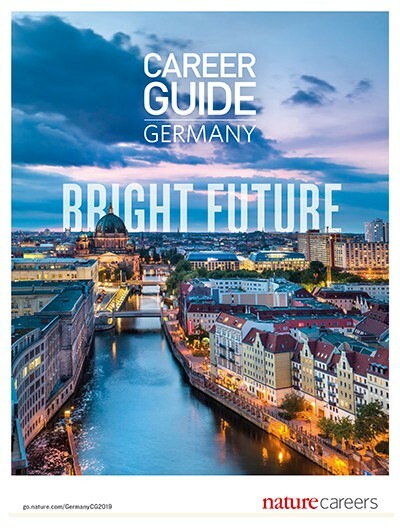 The institutes are a prominent example of the fact that in Germany, strong research is often conducted outside universities. Additional examples of this include the Helmholtz Association, which focuses on large-scale, infrastructure-intensive projects such as aeronautic development, and the Fraunhofer Society, which combines basic and applied research. Other important public institutions include the federal academies of sciences and humanities, academic societies (which in particular fund research in the humanities) and institutions that work directly for the government, such as the Robert Koch Institute in Berlin, w hich focuses on disease control and prevention. In 2016, public and private investment in research and development (R&D) in Germany came to more than €92 billion (US$105 billion) — or more than €1,000 per capita. Only the United States, China and Japan invested more. In terms of R&D spending relative to gross domestic product, Germany is seventh in the world. 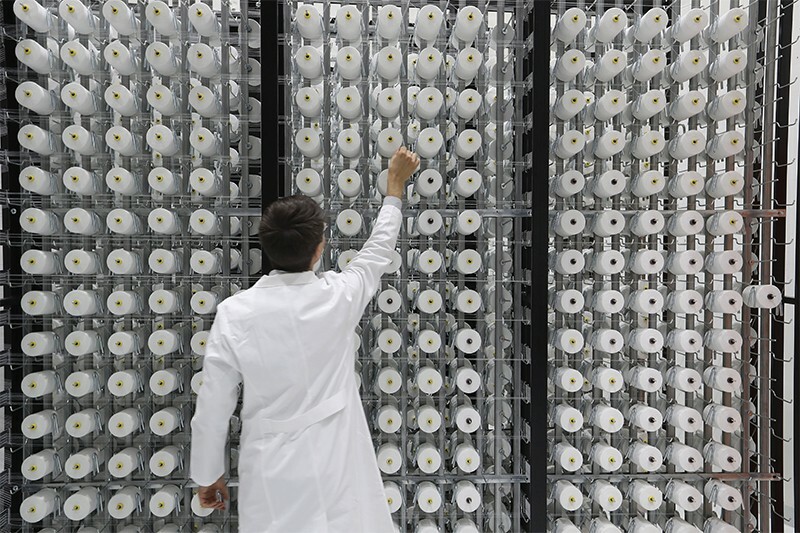 The country’s product-innovation sector generated a turnover of €719 billion in 2016, more than 12% of the most-cited scientific papers are produced in Germany and the nation ranks highly for innovation. 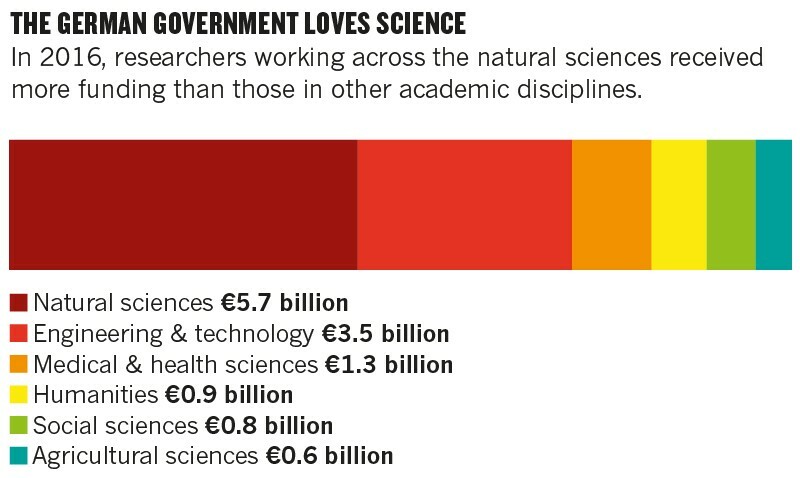 The German federal and state governments finance almost 30% of research. The government also provides direct, short- to medium-term funding for specific research projects and research conducted at federal research institutions, as well as for large-scale research projects in aviation, space, marine and nuclear research. Germany’s main funding body is the German Research Organization (DFG), which is financed by the German states and the federal government but works as a self-governed body. In 2017, it had a funding budget of €3.2 billion. The remaining two-thirds of German R&D funding comes from the private sector. A major proportion of this goes into the manufacturing industries — automotive manufacture alone receives nearly 35% of industry funding. 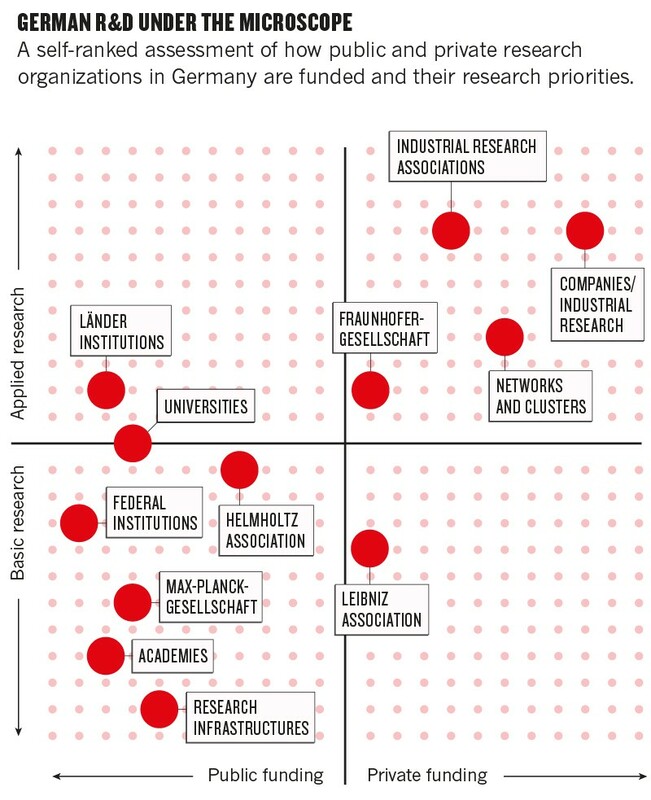 The generous funding helps to ameliorate one of the traditional weaknesses of the German research system — its comparative lack of permanent positions. “The German university system is very hierarchical”, Rojas says. “There are not many tenured academic positions; only professors have a position for life.” The small number of permanent senior positions means that late-career-stage scientists should be prepared to look for research opportunities in industry, he adds. In 2017, research by the Federal Ministry of Education and Research revealed that around 93% of non-professorial academic staff at German universities were on fixed-term contracts, and about half of those contracts were shorter than one year. Historically, tenure-track positions have not generally featured in the German university system. Although there have been initiatives to introduce more permanent positions over the past two decades, the proportion of such job openings still falls well short of that in other countries with more well-established tenure-track systems. After 10 years in the United States, and from a tenured position, Ohler decided to come back to Germany as a professor at the Max Delbrück Center for Molecular Medicine in Berlin, a research institute of the Helmholtz Association. Senior positions in Germany have advantages, he says. In particular, he notes that his basic funding for staff is higher than in the United States, making it possible to have a larger group paid for by the institute without exclusively relying on finding further research grants.